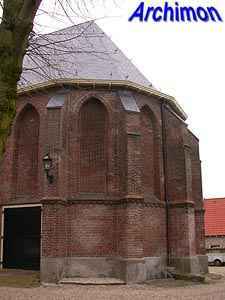 Until 1439 Eemnes-Binnen was part of Eembrugge. 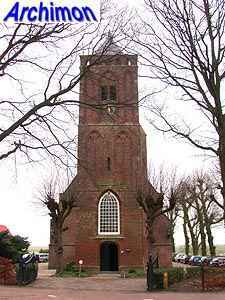 That year the village was seperated and given town privileges. 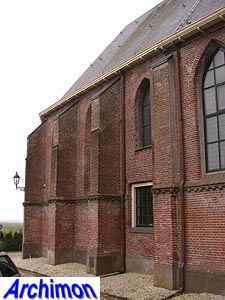 Work on a church began almost immediately, starting with the choir. 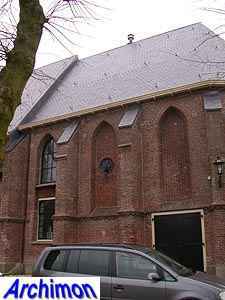 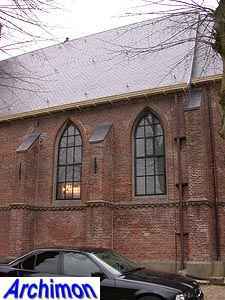 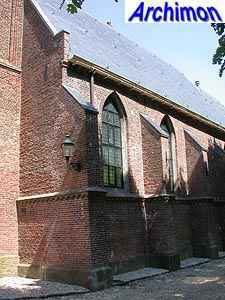 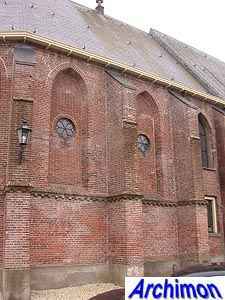 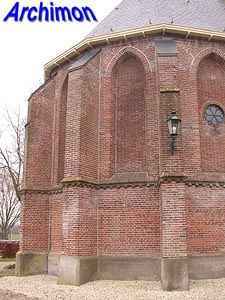 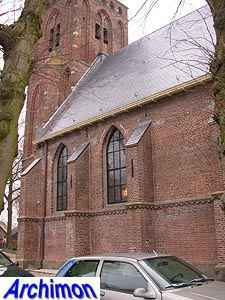 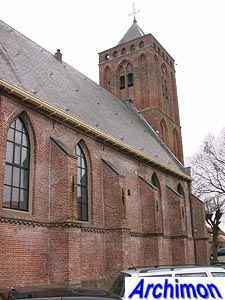 This church, in those catholic times called St. Pieter or St. Petrus, was completed in ca. 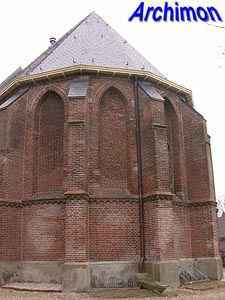 1500, when the tower was finished. 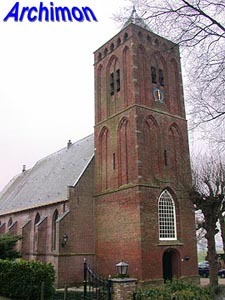 It is a fairly small one aisled building in late-Gothic style, built of brick, with a long but narrower choir on the east and a short tower on the west side. 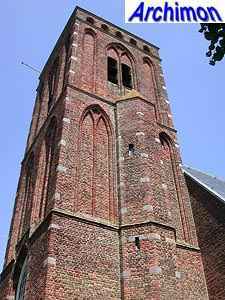 The stair-turret on the south side of the tower was added in 1541. 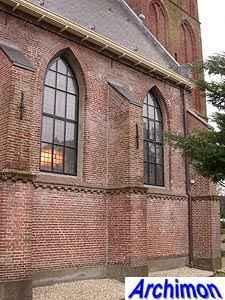 Despite Reformation, neglect and repairs, the church has changed little since it was built, except for the windows of the choir which were filled in. 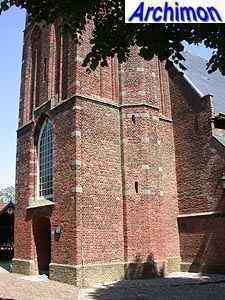 Although in 1921 the church was largely destroyed by fire, leaving only the tower and the outer walls standing, it was rebuilt to its old state that same decade. 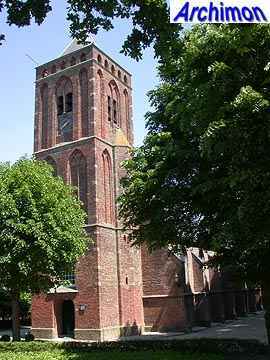 In 1954 the church was restored and the balustrade on top of the tower was reconstructed.